In any official trade transaction, there is a buyer, a seller, an asset for sale, and agreement forms between them. 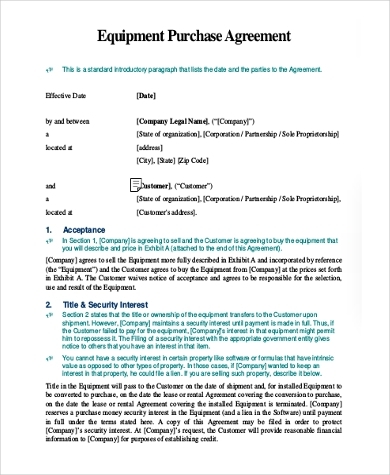 A purchase agreement form is a contract stating that, given the terms and conditions, the seller has agreed to sell and the buyer has agreed to buy. 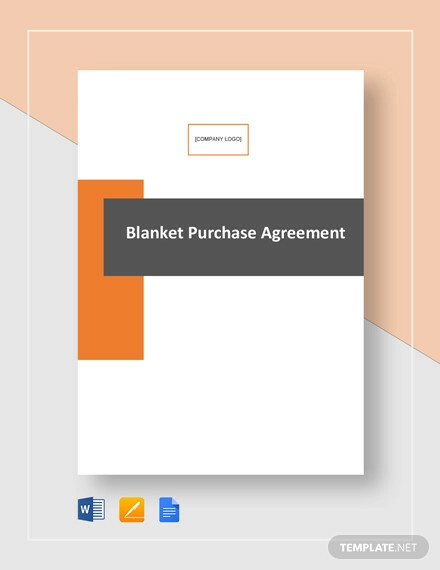 Whether you are looking to buy or sell, these samples should be useful in helping you draft an official, professional, and legally binding purchase agreement. These are general samples that cover areas from real estate down to asset trade. Feel free to download as templates or points of reference. 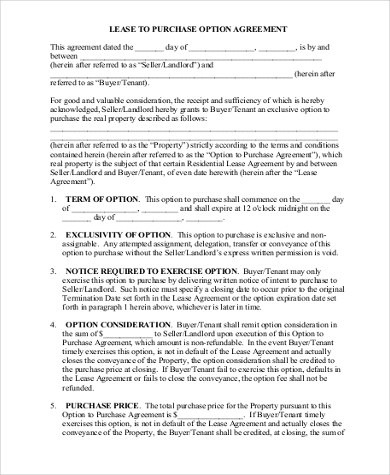 If you’re familiar with the world of real estate, you’ll know that the purchase agreement form comes only after the first offer to purchase from the buyer. 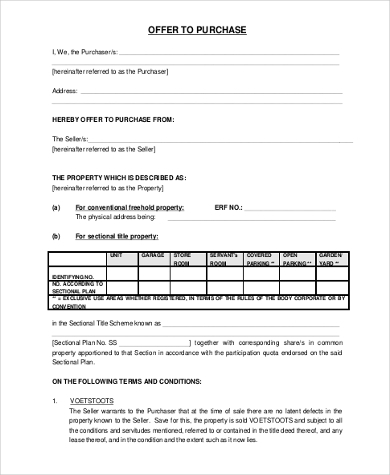 A purchase agreement form works essentially the same way in other areas of trade, whether you’re buying or selling a house, an area of land, a car – or a dog (see Dog purchase agreement form available below). 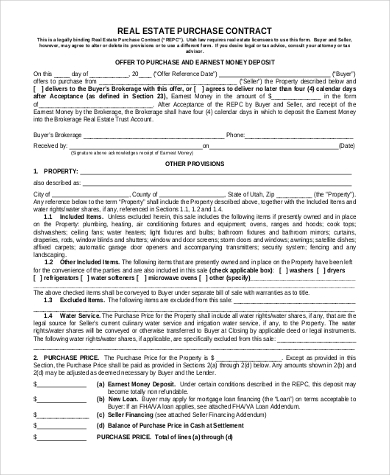 Real Estate Purchase Agreement Form. This comes after the initial offer to purchase from the buyer has been accepted by the seller. Modify this sample to fit your circumstances. 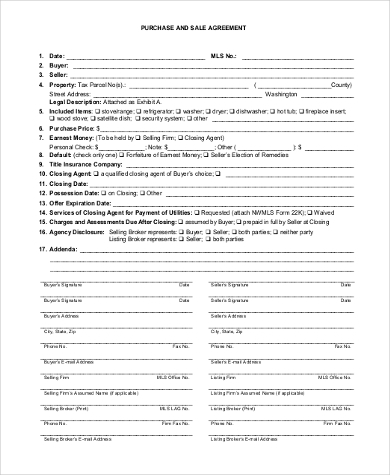 Make sure you also get good legal advice from an attorney when negotiating your purchase & sale contract (preferably though not necessarily a lawyer with a real estate license). 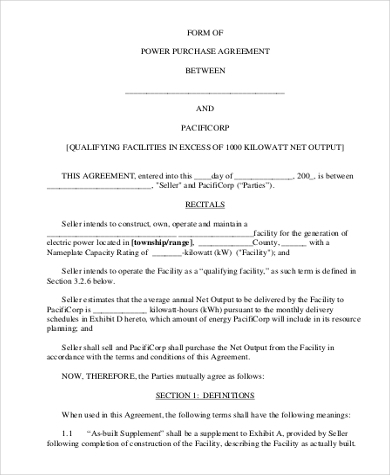 Power Purchase Agreement Form. 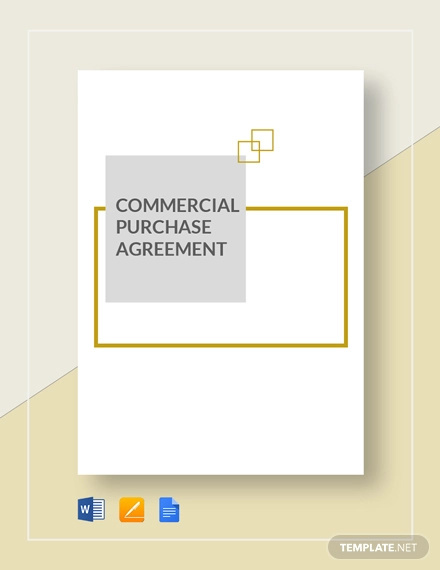 A power purchase agreement (PPA) is also called an electricity power agreement – which should make it clearer. This contract allows the buying and selling of electricity. 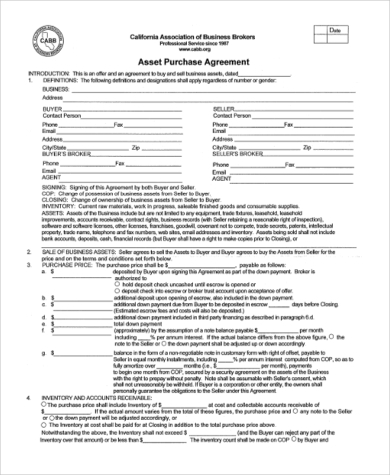 Asset Purchase Agreement Form. Useful in the sale of small businesses. 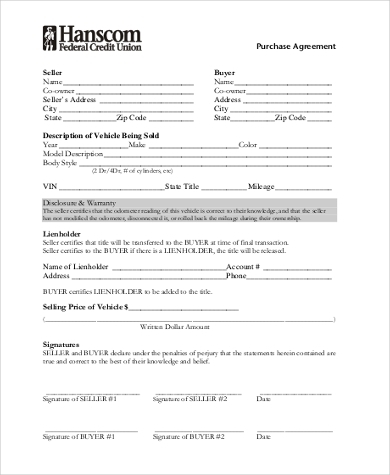 Equipment Purchase Agreement Form. Some equipment purchase contracts include an agreement regarding installation of the equipment, if necessary. 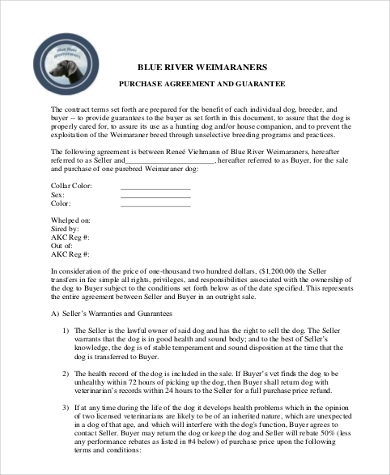 Dog Purchase Agreement Form. If you’re adopting a puppy from a shelter, technically you aren’t buying it the way you would be buying from a dog breeder. Still, it would be helpful to put down the agreement in writing to avoid future complications. Purchasing land and real estate may vary in their terms, details, and trading process than buying cars and electricity. 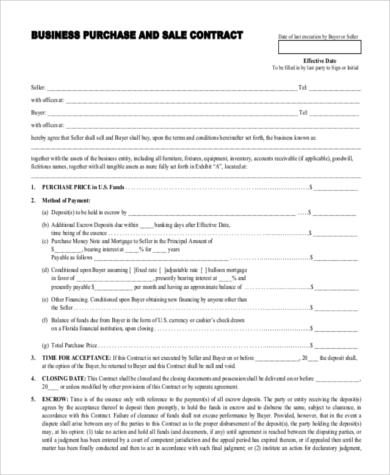 Look up Land Purchase Agreement Forms and Real Estate Purchase Agreement Forms for more information and free downloads.